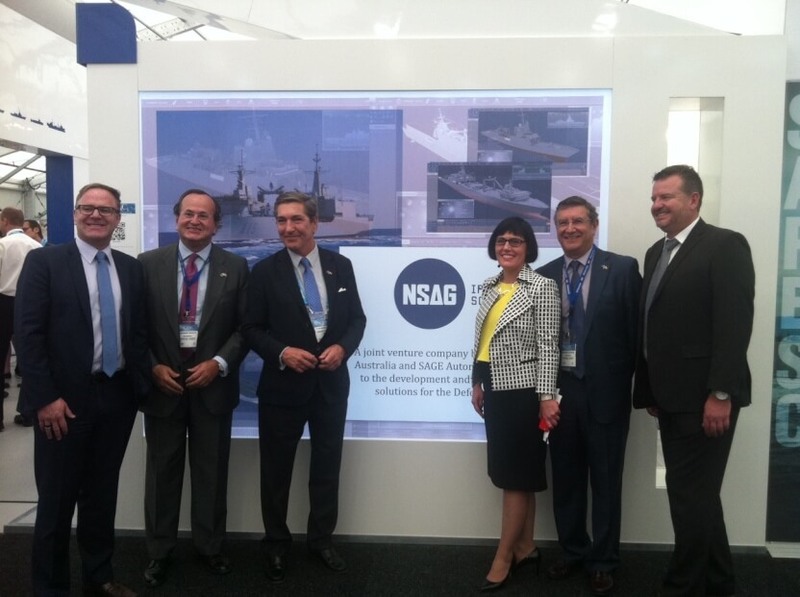 SAGE Automation and Navantia Australia have executed a joint venture agreement to create the Navantia SAGE Automation Group (NSAG), creating local capability in naval automation and monitoring. The joint venture agreement, announced in October during PACIFIC 2015, was signed on the 25th of July at SAGE Automation by SAGE managing director, Andrew Downs, and Navantia Australia’s managing director, Francisco Barón. Through this agreement, both companies bring their expertise in automation and system monitoring of naval platforms. Navantia is currently the supplier of the Integrated Platform Management System (IPMS) of the Canberra Class LHDs, the Hobart Class DDGs and will also be installed in the two new logistics ships being acquired by the Commonwealth of Australia. NSAG will create an in-country capability to provide IPMSs for Australia and the Asia-Pacific region. The IPMS is a key system for any naval platform, managing and controlling every single activity and operation of the ship, from damage control to system monitoring (power, propulsion, auxiliary), crew control, and even Condition Based Monitoring. NSAG’s activities will be performed from premises in South Australia with the objective of delivering the Australian IPMS for future RAN platforms, providing significant commonality and interoperability across the fleet.